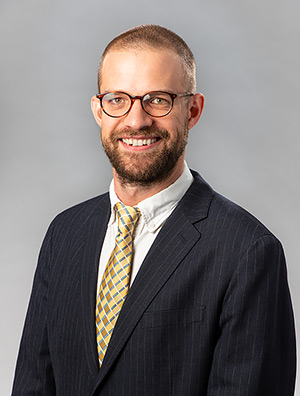 Dan Gulick, Ph.D., is a patent engineer in the Intellectual Property Practice Group, where he assists IP clients in the preparation and prosecution of domestic and foreign patent applications and patent searches. With his prior professional experience in the biomedical and electrical engineering sectors, Dan provides clients with significant technical and research expertise for IP litigation matters. Specifically, Dan has had significant experience in the medical device sector, working with ultrasound and bioelectronics. His technical research experience includes preliminary human trials of ultrasound nerve stimulation and development of software to analyze nerve impulses, as well as teaching experience in biomedical instrumentation. Dan has coauthored multiple patents on nerve stimulation technology.